Hanging by a Nerve ...: This socializing thing is brutal. I mean, I was young once. I used to go to bars. It was never like this. This socializing thing is brutal. I mean, I was young once. I used to go to bars. It was never like this. 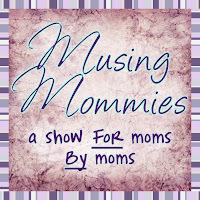 The podcast I'm listening to is Episode 2, about mom-to-mom relationships. It's really interesting because I had to push myself so hard when I first moved to the area, and I can relate to so much of what they're talking about. When I moved here, I was 6 months pregnant and knew no-one. I can credit Dave for my closest friends, as he ran into Cindy and Jorge at the hospital when Cindy and I had our first babies. Then he followed through and set up the first "all of us" lunch, which is something I probably wouldn't have done on my own, and, knowing Cindy and Jorge like I do, I don't think they would have either. And then they introduced us to another couple, and I've since become very close friends with them, too. But everything beyond that was on me. I had to join playgroups and step so far out of my comfort zone that I was doing the heart-pounding, palms-sweating, job-interview feeling thing as I attended the first few play dates. It's funny, because maybe about 15-18 years ago, I was the exact opposite - I was a total extrovert. I would walk up to any guy I found attractive and ask him out; I had no self-confidence issues. But I was also full of bravado, a lot thinner and really not that substantial a person. I've gone through the introvert-extrovert shifts several times, actually. Early in life, I was an extrovert. Probably until about 5th or 6th grade. I ran with the popular kids, I had tons of friends, etc. Then I shifted and my circle of friends shrank, but grew closer. Through the end of high school, I'd say, my circles shifted, but I remained an introvert. Although most of my friends were total extroverts. Ash, remember Chris and Eric? Definitely not introverts, at least not Chris. And Eric was an extrovert in his own, brooding way. Then I started working full-time and hanging out with different people (I took a pretty circuitous route to college and 'real life'), lost a bunch of weight, and discovered everyone's confidence-builder, booze. I spent maybe 7-10 years as a pretty extroverted person. It was nice, and I was rarely lonely. You can't swing a cat without hitting a grinning picture of me from that time period: I was not camera-shy, and, if I do say so myself, I photographed well. Very different from now, where I look like Pizza the Hut in photographs and my 'smile' is more of a grimace. Anyways, with that smack down, came a shift back to introversion. I made brief forays into the extrovert world, but I was definitely not the person I had been. I actually developed a bit of a phobia about new people and events ... I was sooo resistant to attending things that Dave wanted to attend. Part of that, I think, was rooted in an event early in our relationship, where he took me to a party and disappeared with another girl for like 30 minutes. It was supposedly all on the up-and-up, a friend who needed him, blah-blah-blah. But I was, in essence, abandoned with a bunch of acquaintances while my new boyfriend was off doing god-knows-what with some cute girl. Add some alcohol and I'm pretty sure my brain cooked up a paranoia and phobia that would last throughout our relationship. I made work friends, maintained my long-distance friendships, and occasionally attended stuff with Dave, but my introverted period lasted another 10-ish years. And then I moved to Texas and had to start everything from scratch. I didn't have a job to start meeting people, I'm not a church-goer and approaching people in a store and introducing myself is so not my bag, baby. Enter online mom groups and, eventually, in-person mom groups. Fortunately, it's been a slow and steady extroversion conversion this time, added to the confidence and relative freedom from worrying about what others think that comes with age. I like the late 30's because I think that's when we all start to get really comfortable in our own skin. And since I had the catalyst of divorce to push me into new arenas, it's also the time, for me, where I get the tabula rasa to present myself as anything I want to be. How about y'all. Introvert or extrovert? How well do you make new friends? Do you find yourself reaching back (made incredibly easy with social media like Facebook and Classmates) into the vault to see how old friends are doing? Well I'm sure you've figured this out already but I am a total introvert. Aside from a few rare moments in college, I have never been outgoing or bold, and those rare times I tried, something always, always shut me down. It is so much easier for me to be social on line, where I don't have to see the reactions of those I'm talking to (and therefore make up some ridiculous negative meaning behind them). I think meetups and online groups are great, but I still struggle with the follow through - nine times out of ten I don't go to events because honestly my anxiety takes over and I find a "good reason" to not go. I do have a massive FB habit - but while it was all fun and exciting at first, it has also dug up lots of old feelings and hurts that I thought I was long over. So sometimes now it's not as fun anymore. Many days I just log out and ignore it for a day or two until I feel comfortable diving back in. Total, utter, introvert, though I'm trying to break that habit. Duuude... you perfectly nailed the old boyfriend thing... "who I still wonder "hmm, how's he doing?" Not in a 'maybe we should get back together' way, but in a 'we shared a space in time, you were a decent person, I hope you're doing well' way" Yes. I have had a difficult time defining that curiosity, but it's exactly that. Speaking of in-person moms groups, I'm so thankful to be in one of yours! I really feel like I don't make new friends very well AT ALL and I'm so happy to get the "hey, anybody wanna come over?" emails (though actually getting there is a bit harder with 3 kids than it was with 2) and that y'all still include me in them. (thanks!) I've been under the impression (of myself) that my opinions really can get in the way of things and I almost always feel like I'm massacring what I want to say and it comes out all dumb-sounding. But yes. Introverted trying to be extroverted. Overcoming my shyness has been a constant struggle for me most of my adult life. Most people who meet me would never know it because I have to talk myself up to meeting new people and going new places etc. so I come off as quite confident (its all a facade) I have never joined a Mom group, however, just in the past few months, my next door neighbor, invited me out with a bunch of her Mom group friends (sans kids) and I have to say it was a very nice evening. My biggest issue with meeting new people is that I constantly compare them to my two best friends in the whole world and they just pale in comparison. My two best friends are extremely intelligent, funny, crazy, loving, mean (sometimes when they need to be), and I simply feel like I can't find anyone else like them so why try. Its stupid, I know. But, I started taking karate about a year ago and have made a bunch of friends that way (plus the benefits of learing how to be the C R A P out of people) and my two kids help (although i have yet to become friends with any of their friends Moms). I'm happy with my casual acquaintenances and know that I always Vicki and Kerri in my life. . . forever. Love you Vick. Ummm....Alright, I'm going off on a limb here. Unlike your friends above, I started off shy, for years (mainly because I had braces on for a crutial 3-4 years of my adolescence). But, once those babies came off, and once I got to hang with you more when I was in HS (during our occasional trips either in FL, or with you coming up here), everything changed. I was more willing to take risks, and yearned to become that inner punk in me (that I always saw in you.) And now, I'd consider myself to be more extroverted than introverted. With that said, I think our whole lives we go through a series of chapters, and versions of ourselves. And it's normal. We can be one way at work, and a different way in social situations, or in a relationship. I'm at the point now, where I don't want to be labeled as "consistent", (Rebecca has always been known as an introvert or an extrovert.) Why not trick people up once in a while and do something completely out of the norm for you. It's a personal challenge, too....one that keeps us growing and learning. I've been through my fair share of personality analysis workshops (for teachers), and each time I come out as an introvert. The pros always say that introverted person is not necessarily the same thing as a shy person. Introverts recharge after a long day by finding a quiet activity to do or something that is typically solo. Extroverts recharge by socializing with others. So an introvert can still party-it-up, but just not when mentally exhausted. I thought that was a great way of describing an introvert. That's me. I do feel better after self-reflection through blogging because it is just me, my thoughts, and my computer. I bet you're right though that most bloggers are probably introverts. So… peachy with a side of keen, that would be me. I'm not well. I feel all oogy. I think it; I say it. It's my way.